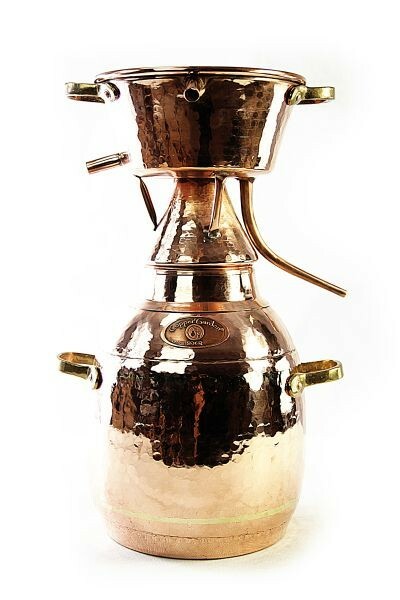 This still has been completely reworked and all components perfectly matched. 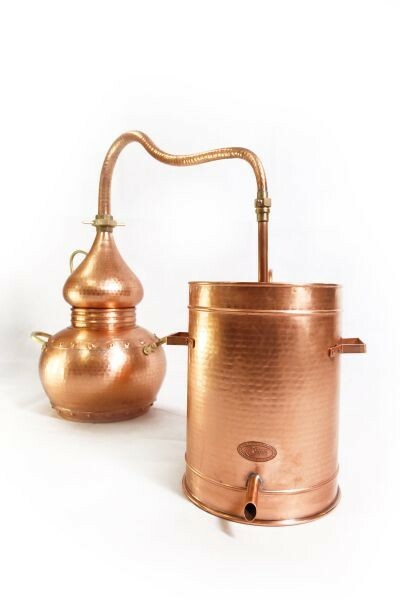 As well as the boiler with its ingenious water sealing system, we supply a mash sieve and a removable refining lentil. 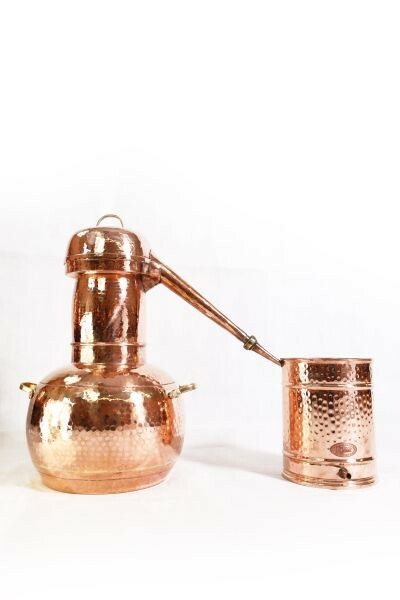 Of course, the perfectly shaped distilling head with the screwed-on swan neck, a spacer and an adequately- sized condenser with cool water intake and drain are also included. 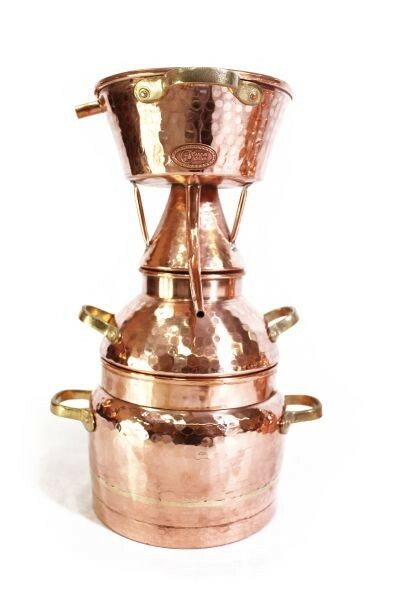 This redesigned still provides an especially well-formed head which enables the steam to circulate better, an improved refining lentil with a very effective integrated copper coil and an additional water drain. 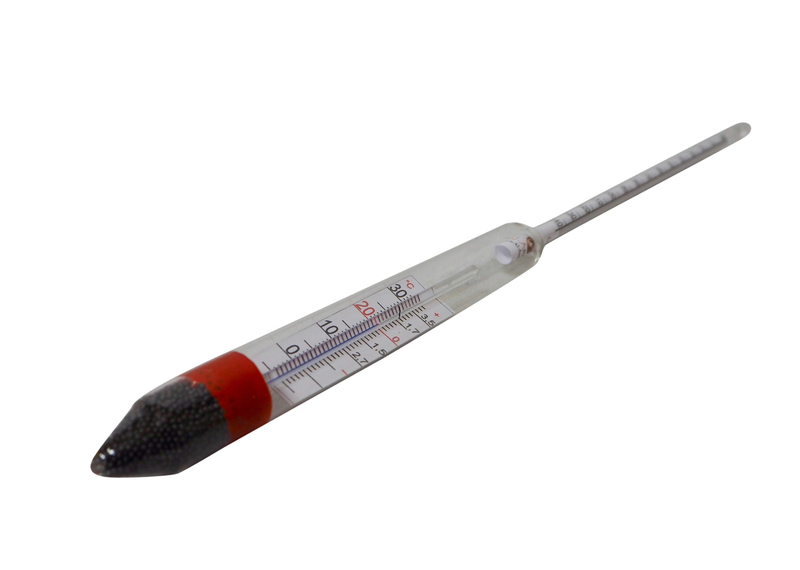 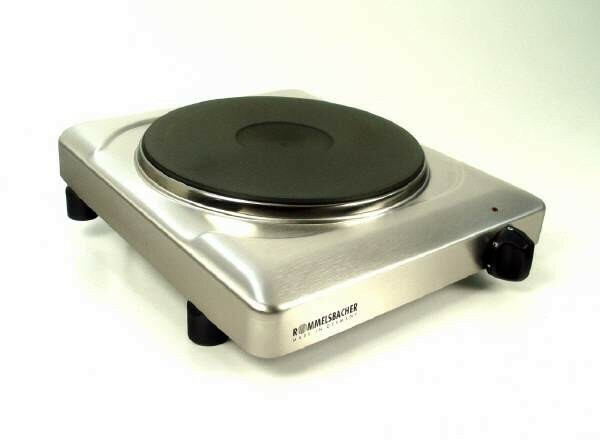 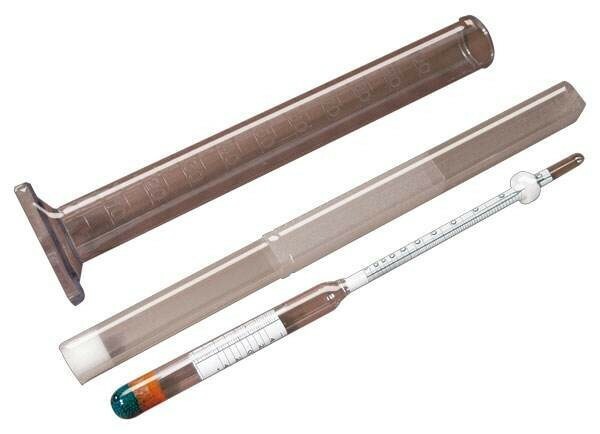 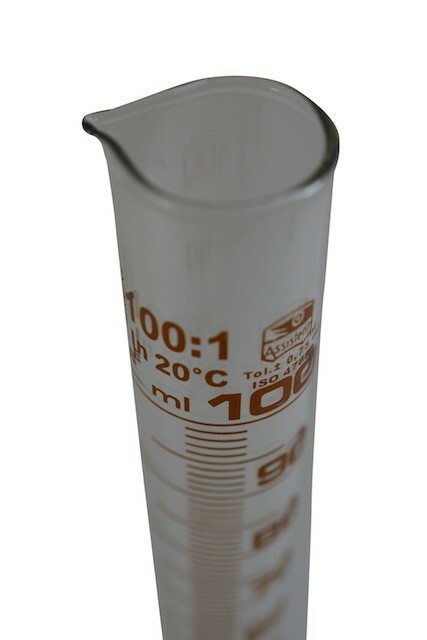 Professional quality equipment for everyone who simply wants to distill and experiment with different refining lentils and strengths of alcohol, and who do not place much importance on the classical appearance of the still. 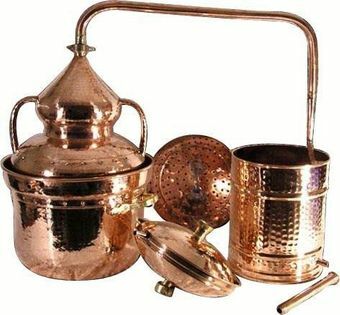 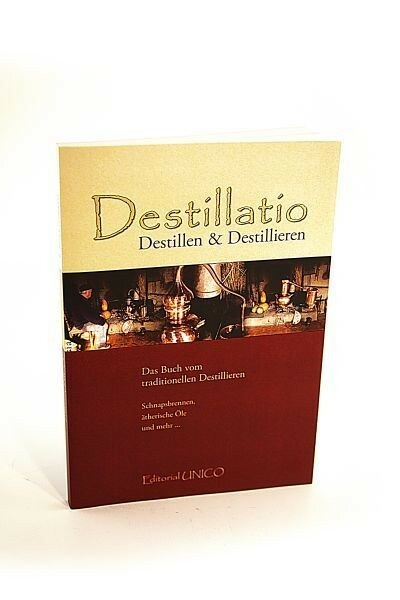 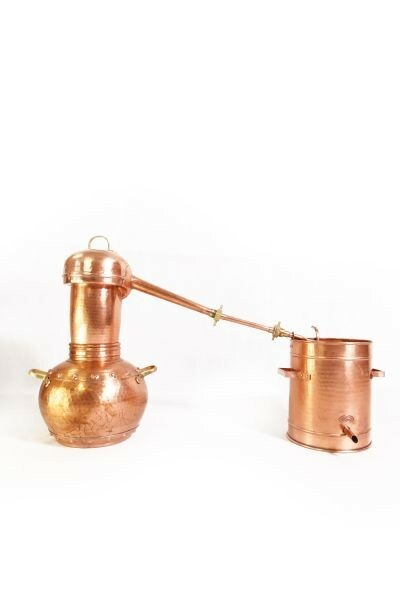 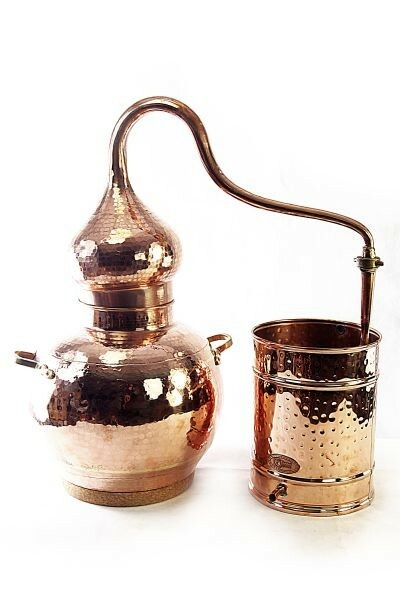 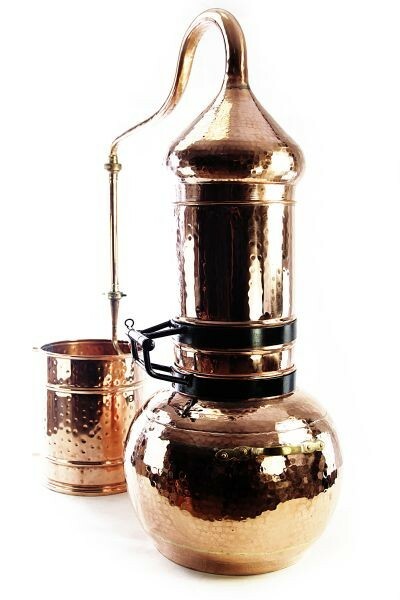 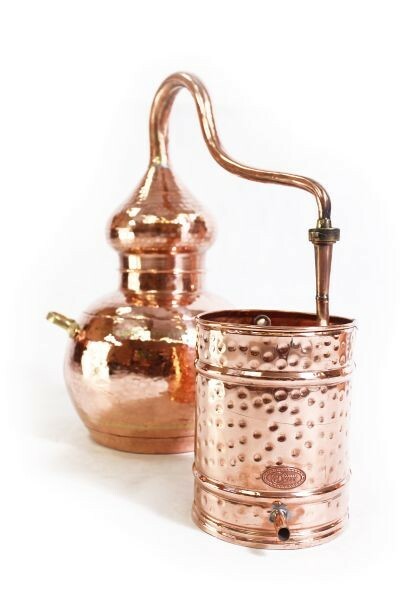 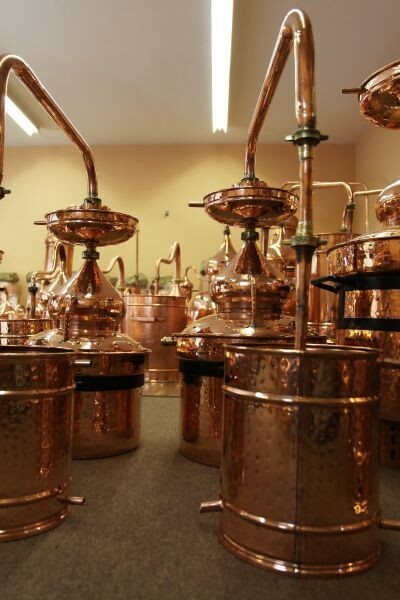 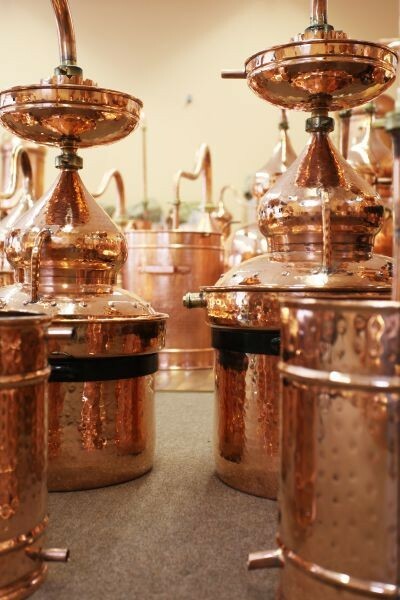 This still is excellently suitable for distilling highly aromatic fruit schnapps made from your own mash - and for distilling specially high-proof alcohol (for example, vodka, schnapps) with refining lentils. 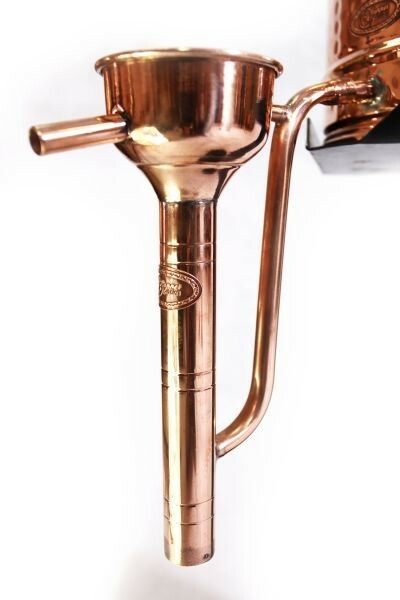 EU brand name quality from "CopperGarten®"